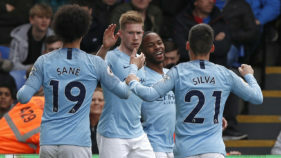 It is another weekend of footballing actions across different leagues in Europe and there are juicy fixtures that promise to be explosive. Not only are bragging rights up for grabs, there are three points at stake. The Turin derby aka Derby della Mole, takes place this weekend when Juventus host Torino at the Allianz Stadium in what should be an exciting game. The defending champions have started the season in blistering form, winning all five league matches they have played so far, scoring fourteen goals and conceding just four. Torino aren’t doing too badly themselves as they have also started the season well with three wins and two draws from their five matches played so far. The last meeting between the two sides ended in a 1-1 stalemate and the Granata will be hoping to do what they haven’t done in over two decades, which is to beat the Bianconeri at their own ground for the first time since 1995. In fact, before that stalemate from their last game, Juventus had won the last four matches between both sides. Massimiliano Allegri has a wealth of attacking options to choose from and would try to rotate them with one eye on the Champions league fixture, Stephane Lichtsteiner should be a sure bet to feature for Juve in this game as the defender is not eligible for the Champions League. Sinisa Mihajlovic will have to make some changes in defence, while the attack picks itself with Andrea Belotti and Adem Ljajic. Torino also features two Nigerians in Joel Obi and Sadiq Umar, the former is out injured, while the latter is yet to play a game this season. The Foxes will host the Reds in the Premier League just four days after knocking them out of the League Cup at the same venue. Goals from Shinji Okazaki and Islam Slimani helped Leicester progress to the third round of the competition at the expense of Liverpool who handed Alex Oxlade-Chamberlain a full debut on that night. It was the third straight loss to Leicester City at the Kingpower Stadium for Liverpool and they wouldn’t want to be beaten for the fourth time in a row by the foxes at the same ground this weekend. Jamie Vardy didn’t play in the League Cup encounter but should be fit enough to take part in this game, while Christian Fuchs and Riyadh Mahrez should also return after they were rested for that game. Islam Slimani has made a case for a starting spot after scoring against the same opponents on Tuesday. 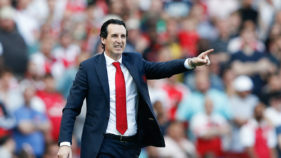 Leicester City haven’t been consistent so far in the league, picking up four points from their first five games of the season, although it should be stated that their three losses this season came against Arsenal, Chelsea and Manchester United. Liverpool started the season will with seven points from their first three matches which included a 4-0 thumping of Arsenal. 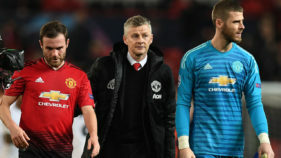 However, they seem to have lost that early season ginger as they have failed to win any of their last four matches, losing to Manchester City and Leicester and drawing with Sevilla and Burnley. Jurgen Klopp knows that he needs to get a positive result from this game or else the fans might start losing patience with him. I expect Liverpool to leave the stadium with at least a draw. This marquee fixture in the Spanish La Liga will take place at the Estadio Wanda Metropolitano in Madrid when Atletico Madrid hosts Sevilla. Atleti currently sit third on the log behind Barcelona and Sevilla and would hope to usurp their opponents position on the table with a win in this game. Angel Correa, who is their top scorer, is expected to continue up top with his good form after scoring yet another goal last time out against Bilbao and Juanfran should take the place of Jose Gimenez at right-back, with Yannick Carrasco, another player who scored against Bilbao coming in for Nicolas Gaitan out wide. Sevilla are on a run of four wins with clean-sheets. They are on a great streak, and are second on the table with 13 points. Eduardo Berizzo should retain much of the same XI that beat Las Palmas in their last league match. Ever Banega should start in midfield, with Guido Pizarro and Pablo Sarabia battling it out to partner him. He would definitely want to continue his amazing start to life as a coach of Sevilla. There’s a massive fixture taking place in Turkey this weekend and it’s happening at the Sukru Saracoglu Stadium in Istanbul where Fenerbahce will host Besiktas. The home side started the season on a shaky note, but finally came to life with a 4-1 away win at Alanyaspor last week. So far, they have bagged two wins and two draws from their five league games, their only defeat coming at home against last season’s runners up Istanbul Basaksehir. However, they are unbeaten in their last four meetings against Besiktas in all competitions and would love to continue that run. The reigning champions Besiktas are on a roll in the early day of the new season and picked up 4 wins and a draw from their five matches. They are currently second in the table, level on points with leaders Galatasaray and this will be their biggest test so far in the league. Nabil Dirar was injured last week and will be replaced with Alper Potuk for Fener, but if Martin Skrtel doesn’t recover from his minor knock, then Aykut Kocaman will have a problem in defense. Besiktas looked really good against Konyaspor and Senol Gunes’s side have no difficulty controlling games and can be mesmerizing in attack. The only problem they have is at right back and if Adriano doesn’t start, Necip will have to play at right back against Matthieu Valbuena. This will definitely be a cracker of a game. It’s first against second in the Russian Premier League as Krasnodar welcome Zenit to the Kuban Arena on Sunday evening. The home team have seen an upward turn in their fortunes after being bounced from Europe by Red Star Belgrade as they have won three league games on the bounce. Prior to that, they had just managed one win from five league games. That recent run of form has pushed Krasnodar to second in the league table making them a strong title contender. However, their opponents who are above them look very resilient and have been consistent throughout the campaign. They are unbeaten in the league this season, racking up seven wins and three draws from the ten matches they have played so far. They are just three points above Krasnodar and know that a loss will see their opponents level on points them, a scenario they would want to avoid. They have also scored seventeen goals and conceded only three, which shows how complete they are. Both teams suffered defeats in the Russian Cup during the week and would want to quickly get back to winning ways so expect a very exciting encounter. The 409th edition of the Old Firm derby will take place this weekend at Ibrox Stadium in Glasgow when Rangers host Celtic on Saturday evening. Rangers are third place on the log, five points behind Celtic and this is a great chance for them to cut the lead against the leaders with a victory. Celtic have started the season where they left off last season, winning five and drawing just once in their six league games played this season and are unbeaten in their last nine games against Rangers. They haven’t lost a league game since the 2015/2016 season and it will take a lot for Rangers to be the first team to beat them in the league in forty-five games. The Old Firm derby has always been spectacular irrespective of form. Celtic are big favourites, but with an eye on the UCL, so Rangers will have their chances as well considering the fact that they scored 10 goals in their last 4 matches.